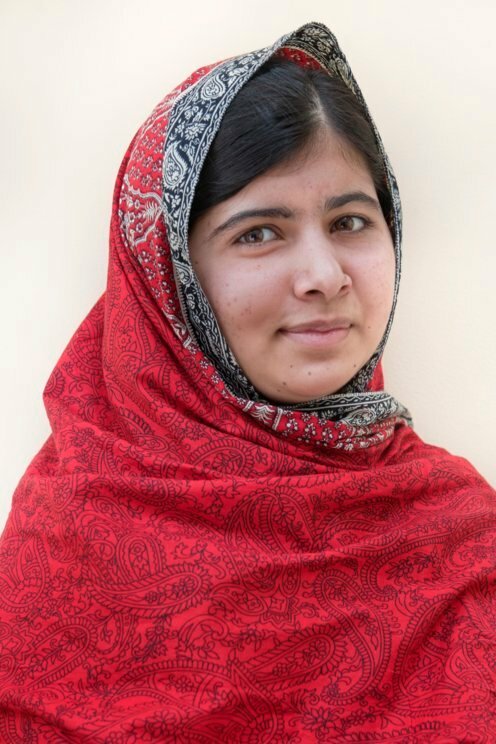 Malala Yousafzai – awarded the 2014 Nobel Peace Prize – donated this scarf to the Nobel Museum which she wore when she argued for all children's right to education at the United Nations headquarters in 2013. Alfred Nobel showed a big interest in social issues and was engaged in the peace movement. His acquaintance with Bertha von Suttner, who was a driving force in the international peace movement in Europe and later awarded the Peace Prize, influenced his views on peace. Peace was the fifth and final prize area that Nobel mentioned in his will. 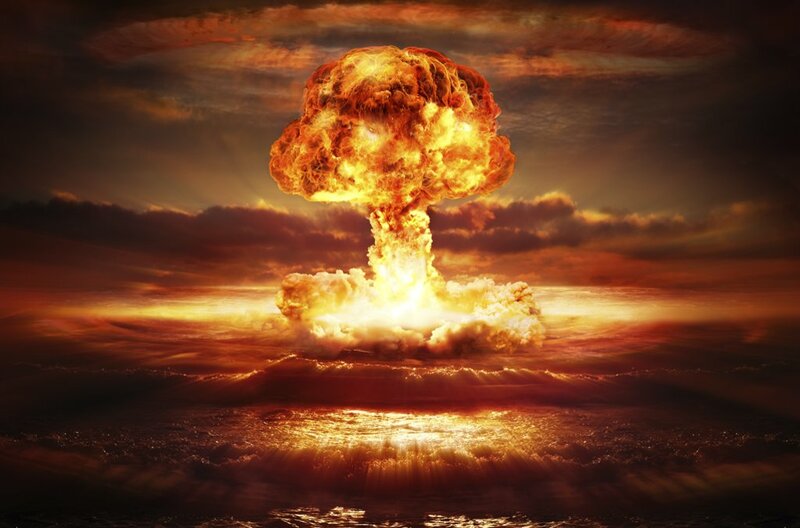 The Nobel Peace Prize is awarded by a committee elected by the Norwegian Parliament (Stortinget). 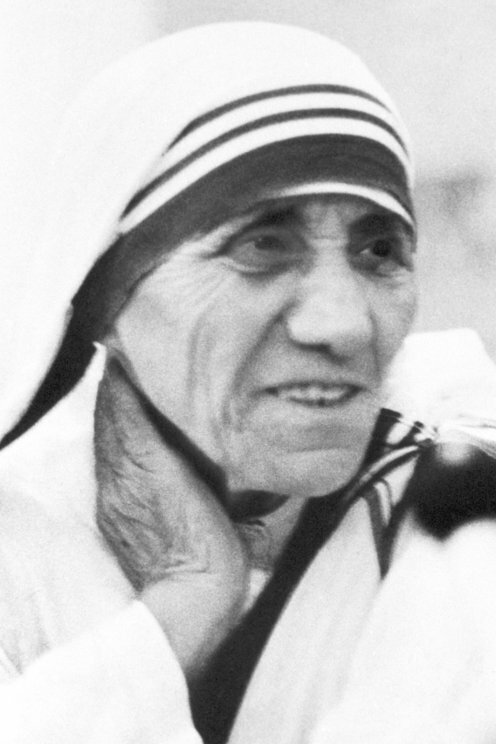 See all peace prize laureates or learn about the nomination process. Both laureates have made a crucial contribution to focusing attention on, and combating, war crimes. 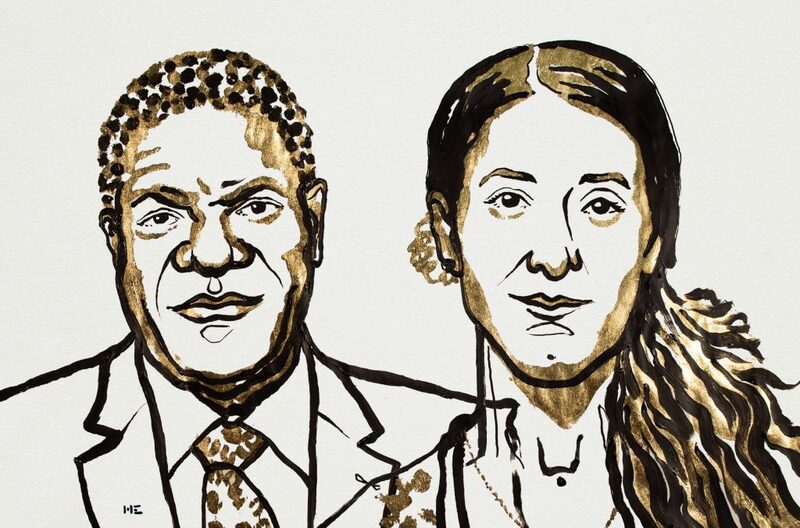 Denis Mukwege is the helper who has devoted his life to defending these victims. Nadia Murad is the witness who tells of the abuses perpetrated against herself and others. Each of them in their own way has helped to give greater visibility to war-time sexual violence, so that the perpetrators can be held accountable for their actions. Read more about the 2018 Peace Prize. 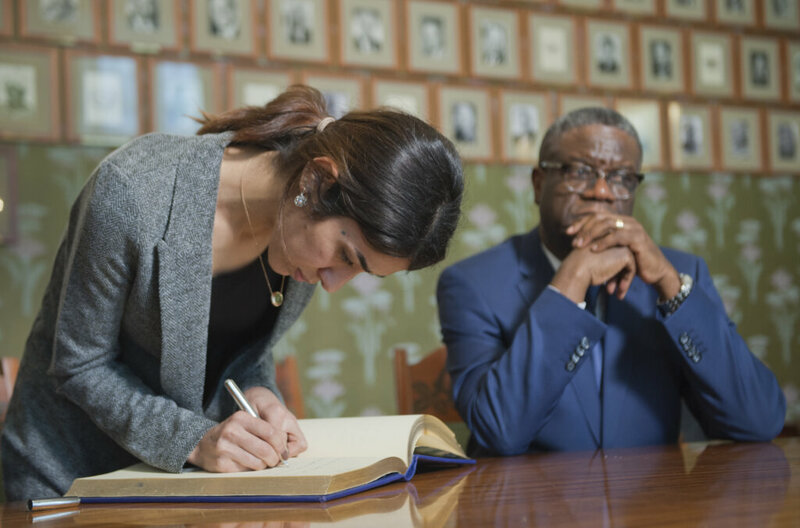 Nadia Murad and Denis Mukwege signing the guestbook before the Nobel Peace Prize ceremony in Oslo, 10 December 2018. The Nobel Peace Prize 2017 was awarded to ICAN. 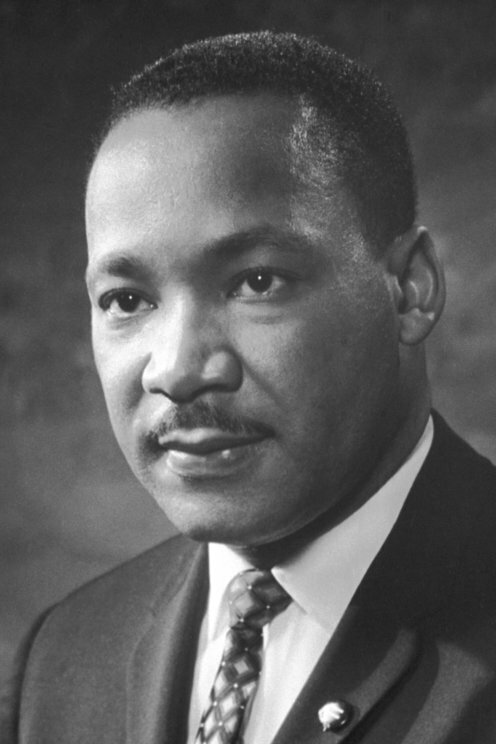 The Nobel Peace Prize 2014	 for their struggle against the suppression of children and young people and for the right of all children to education. 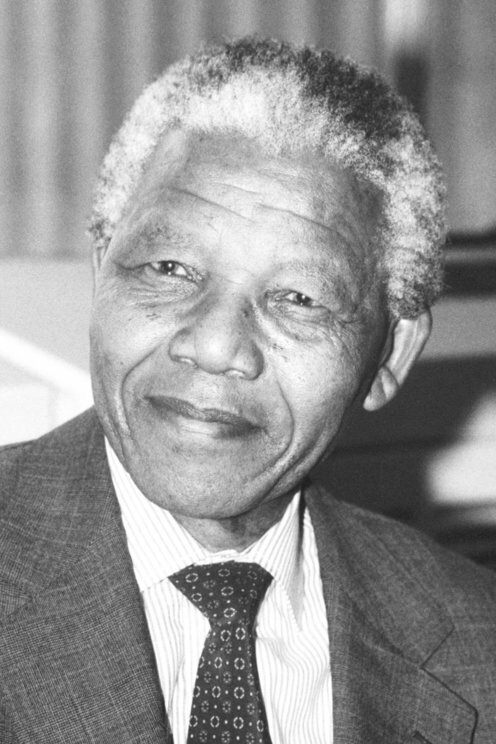 The Nobel Peace Prize 1993	 for their work for the peaceful termination of the apartheid regime, and for laying the foundations for a new democratic South Africa. 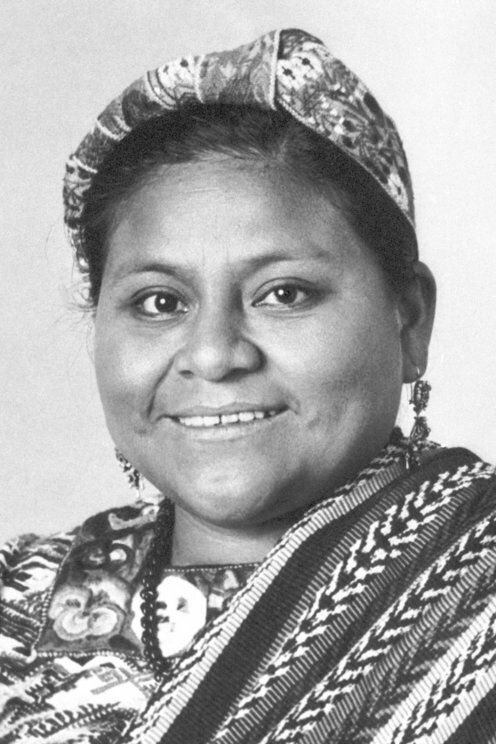 The Nobel Peace Prize 1992	 in recognition of her work for social justice and ethno-cultural reconciliation based on respect for the rights of indigenous peoples. 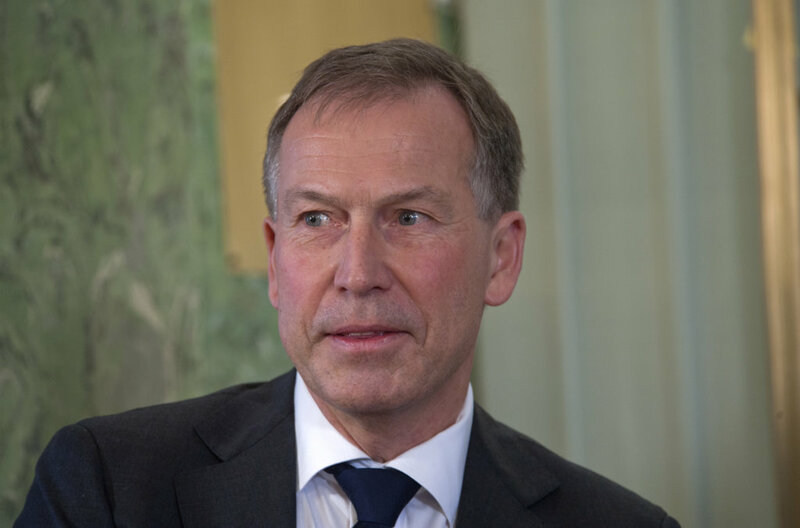 An interview with Olav Njølstad, Director of the Norwegian Nobel Institute, about the Nobel Peace Prize. Director of the Norwegian Nobel Institute and secretary of the Norwegian Nobel Committee Olav Njølstad. 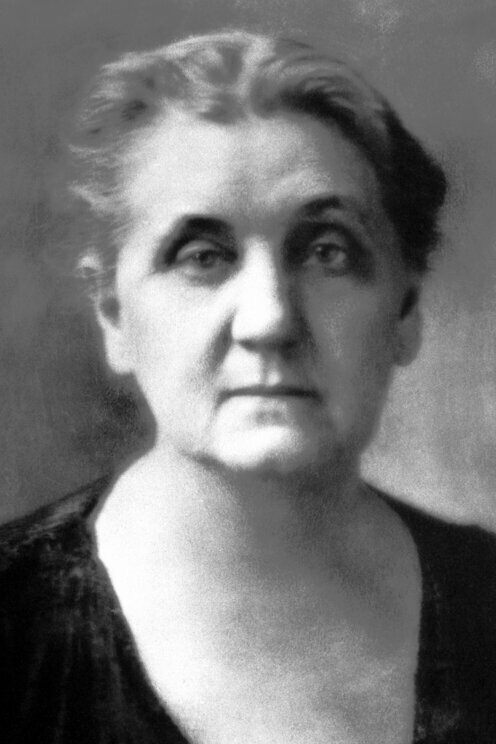 The Red Cross has been awarded three times - read about the work of the organization. 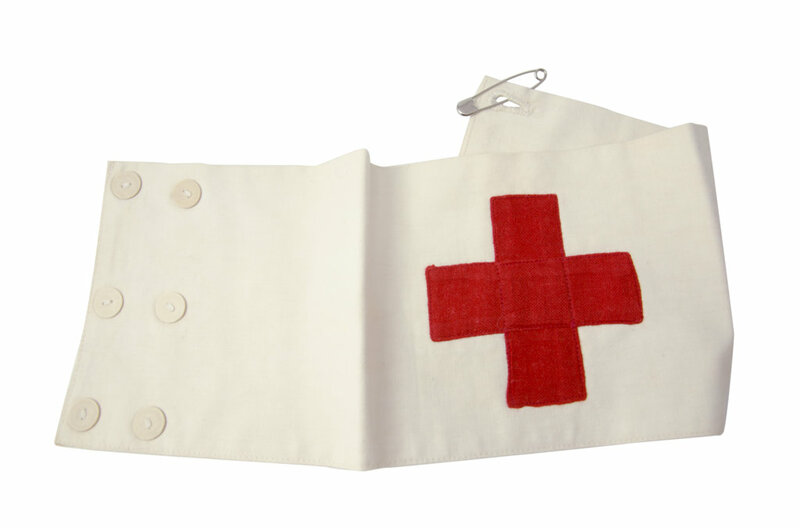 Armlet for the Red Cross. See Malala Yousafzai’s Nobel lecture about the work done for children’s education. 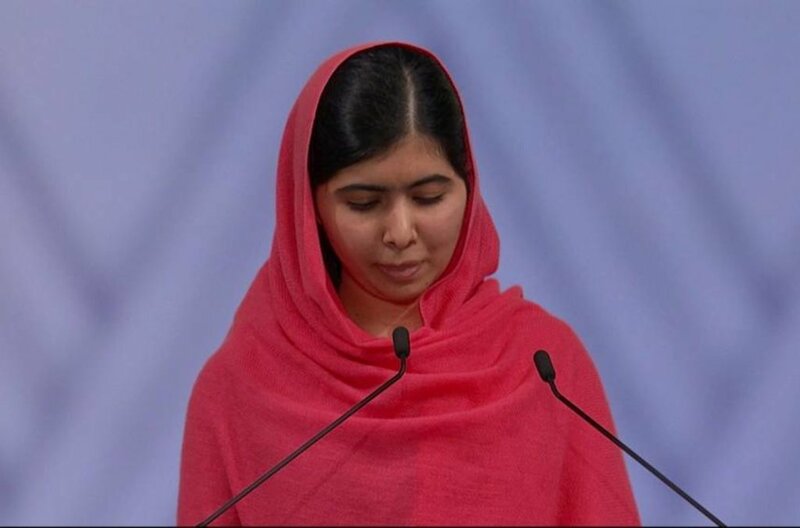 Malala Yousafzai delivered her Nobel Lecture on 10 December 2014.